As a diligent primary care doctor and internist, Dr. Lee takes care of the Arlington, TX community. He is affiliated with Texas Health Arlington Memorial Hospital and Texas Health Heart & Vascular Hospital. Dr. Lee is skilled in treating ailments such as abscess, eczema, sore throat, joint problems, and thyroid consultations. Dr. David Lee received his medical degree from the University of North Carolina. He advanced his training by completing a residency and an internship at Huntington Memorial Hospital. He has a special interest in caring for adults and chronic illness management. 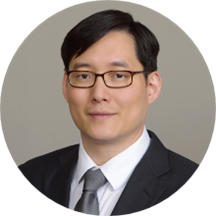 Dr. Lee is a part of Arlington Internal Medicine Group. He can converse fluently in English and Korean. He believes in caring for his patients and addressing all their medical concerns. He provides patients with all the necessary information to make informed decisions about their treatment. Always good - been here for years. Efficient, courteous & knowledge is good. This is one of the best Dr. offices I enjoy coming too! It is always nice coming to my visit, people are always nice and polite. Welcome me with a smile. My visit was very good.